Opening Reception, Thursday, July 13, 6:00 to 8:00 p.m.
Members of the Philadelphia Photo Arts Center are a diverse group, brought together by their common love of photography. This survey of regional photographers is always diverse in theme and subject matter, always worth a visit. I have been a member of the PPAC since 2013 and often use the 44-inch Epson printers in their Artist Lab to make my photographic prints with archival inks and paper. The image above — “Nothing Is Left Undone” by Danny Schweers, 2017 — is the print I will have on display. It is a 12″ x 18″ image framed 18″ x 24″ and sells for $350 framed, $270 unframed. It is printed on Epson Velvet Fine Art Photo Rag paper. This is the image I used in my Photo Prayer 2017-10. 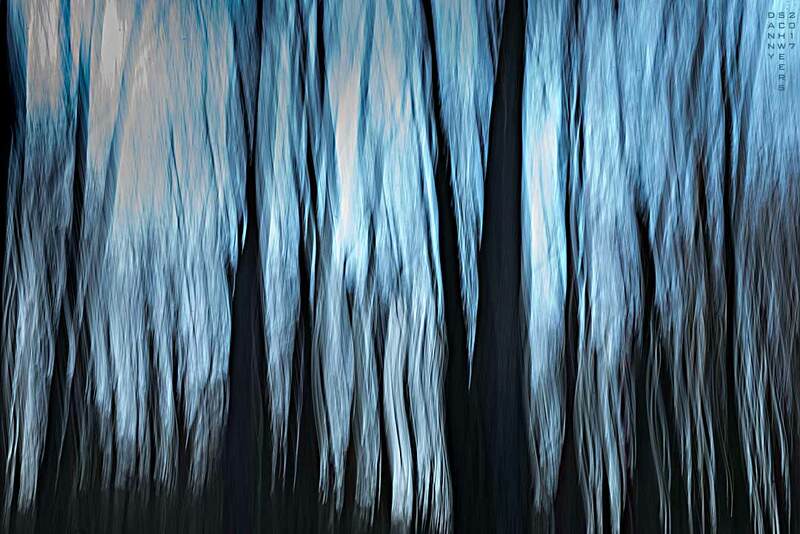 The image was shot with a shutter speed of one third of a second and, since I was shaking the camera, the trees are blurred. Just a few days before he died, I drew Steven Threefoot, a neighbor, into a conversation about things left undone. I knew it was a subject he had been considering for over a year, ever since he was diagnosed with pancreatic cancer. He took his time to enter the conversation. When he did, he said simply, “Nothing is left undone.” I hope I can be as confident when my death is near.